Although I was born in India, I grew up and still live in England. I regretted the way the story of India’s independence was usually discussed in Britain. Britons know about the Quit India movement, and Mahatma Gandhi; they read about politics, about the leaders, and perhaps a little bit about the thousands who became victims during Partition. But rarely do they consider the dangers, sacrifice, hopes, and fears of the Indian people during the Independence era. Freedom of the Monsoon does exactly this; it tells the story of people, whose lives changed when Quit India was called by Gandhi. I wanted to write about Independence through the eyes of Indians, and to bring this piece of history to life to memorialise generations gone, and to inspire those to come. You mentioned you were born in India, but grew up in England. How has your background affected your writing? I don’t know where my roots lie, as although my parents are both Indian, they grew up on two different continents. My mother was born and brought up in a remote Indian village, my father was born and brought up in Kenya. And you already know about me. As a young schoolgirl, I once wrote a story as instructed by my teacher. My Indian heritage showed up from then, as I chose to write about animals that lived in an Indian desert whose water hole dried up. The lead was a monkey called Manglu! That story was the beginning of my dream to become an author. Now, as an adult, I base my stories in England and India. I believe I have the advantage of both cultures, and so I am able to write from both points of view. In my stories, I am able to capture the essence of Indian life and culture, and can replay the typical banter and beliefs of Gujarati people. Whether we are Jain or Hindu, we have many gods and festivals, and our food is very colourful! Readers have enjoyed reading about the foods I describe. What have you written since publishing Freedom of the Monsoon? 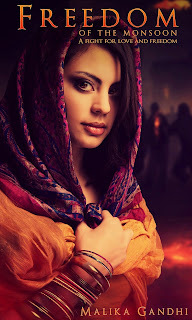 I followed up with two other books, based in India and England: Where the Secret Lies, and Lost Soul. Where the Secret Lies is about a girl from the present who meets a girl from the past. Arianna is from the present time and lives in London. 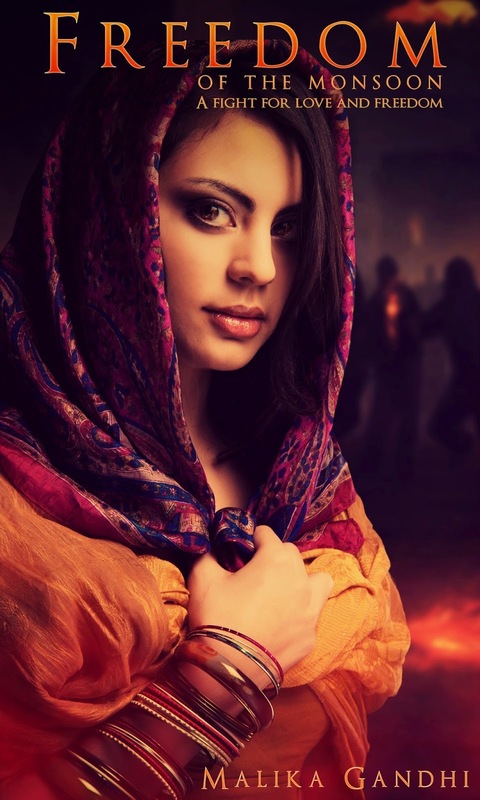 Anjali is from the 1940s and is running away from murderers during Partition. The two girls are related but how? Lost Soul is about a spirit who is seeking forgiveness for a crime that wasn’t her fault. This story is also set in the past and present and we follow two stories that tell us about her life before her premature death and beyond. I have a series called The Scattered Ashes, which is a set of five short stories based on characters taken from Freedom of the Monsoon: Rakesh, Dev, Pooja, Amit, and Sunil. In these stories, readers will find out a bit more about them and about their lives. Another book which is burning slowly in my mind I’ve given the working title Road Trip - a contemporary story about an Indian girl and an English boy travelling to Scotland together. How did they meet, what will happen on the road trip, and will they fall in love?